Shenzhen Renice Technology, a little-known maker of special-purpose SSDs from China, has introduced its new family of drives designed for military and rugged applications. What makes these new drives notable is that they are designed to withstand harsh environments, utilizing special R-SATA connectors as well as custom controllers. On the NAND side the drives are build around SLC, MLC or pseudo-SLC NAND flash memory to provide the required balance between endurance, price and performance. The Renice X9 R-SATA SSDs are powered by the company’s own controller, the RS3502-IT, as well as SLC or MLC NAND flash memory from undisclosed manufacturers. The drives are made in accordance with the MIL-STD-810F spec to withstand harsh environments and poor handling, and feature integrated power failure protection as well as 256-bit AES encryption with several secure erase functions (both software and hardware). 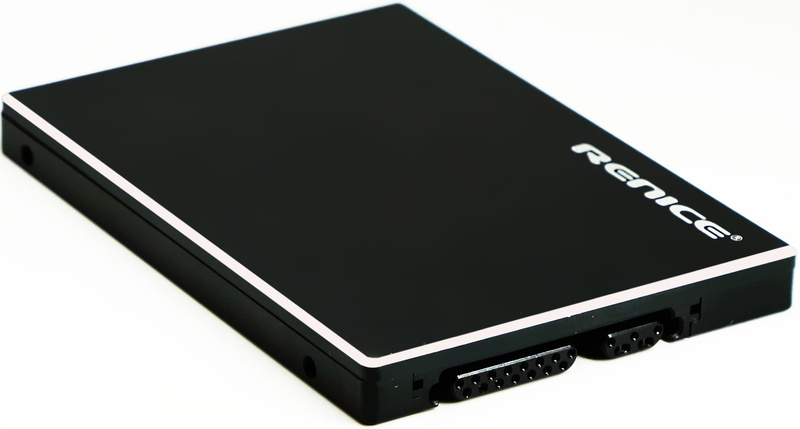 The Renice X9 SSDs use the company’s proprietary 15-pin R-SATA connectors as well as special 7-pin SATA power ports, which limits compatibility of the drives to applications that feature the same connectors. The SLC-based X9 R-SATA drives are offered in 128 GB – 1 TB configurations, whereas MLC-powered SSDs are available with 256 GB – 2 TB capacities. If required, Renice can use MLC NAND in pseudo-SLC mode in order to provide higher endurance and performance at a predictable cost. 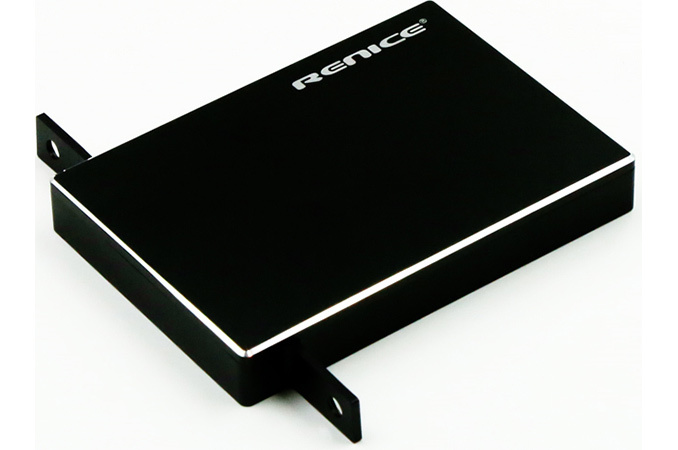 The Renice X9 comes in 2.5” form-factor with 7, 9 or 15 mm thickness, depending on the exact capacity configuration. The manufacturer claims that the X9 SSDs have maximum sequential read speed of up to 530 MB/s and maximum sequential write speed of up to 500 MB/s along with 0.1 ms access time. The company does not specify random read/write performance of the drives, but claims that it is “excellent”. Keeping in mind that X9 SSDs can use different types of NAND flash memory and come in various configurations, random I/O performance of different models is likely to vary greatly. With regards to reliability, the Renice X9 drives boast a MTBF of over four million hours, while their physical tolerance is rated for 16.4G (10 – 2000 Hz) sustained vibration and 1500G (@ 0.5 ms half sine wave) shock, something that typical drives simply do not offer (Intel's DC S3710 SSD, by comparison, can tolerate 2.17 G operating vibration and can survive 1000 G shock). The X9 SSDs are designed for operating temperatures ranging from -40°C to +85°C (industrial-grade) or even -55°C to+125°C (military-grade), which is in line with other SSDs for extreme environments (such as those from Amtron or Foremay). Meanwhile, datacenter drives like the DC S3710 can operate when its temperature is between 0ºC and +70ºC. Given that Renice is a Shenzhen-based company, it is admittedly unlikely that the X9 SSDs will be used in military or defence applications outside of China. Nonetheless, since the drives are designed to withstand harsh environments in general, the X9 SSDs can be used in aerospace, industrial, transportation, outdoor storage and other systems that are subject to extreme temperatures, severe vibrations and other types of harsh environments. Exact pricing of the Renice X9 depends on memory configuration and additional features that the manufacturer may offer (e.g., extended operating temperatures). Typically, rugged drives cost significantly more than typical SSDs. 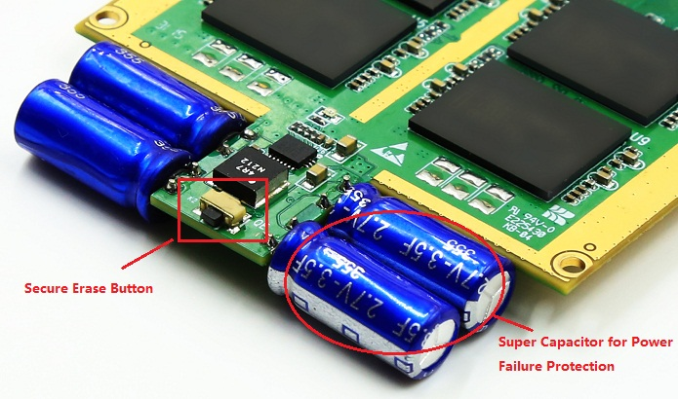 So actual runtime would only include two capacitors, which is twice as many as the two TOTAL capacitors on the Intel SSD 730/3500/3700, only one of which operates the drive long enough to flush the indirection table from cache to NAND, or about 1200ms, assuming total power consumption is at peak (and it usually is when entering flush-shutdown state) or about 5w. I had voltage way too high in my calculation, but even still. The SSD DC S3700 only has a pair of 35V 47µF caps. We can presume that power consumption when the PLP circuit kicks in would be similar to average power consumption during sustained writes. The Samsung SSD EVO 2TB is rated at 4.7W max during sustained writes. Unless this thing is way more power hungry (or hotter) than other drives on the market, I'd say 5W is a safe upper bound. The do have random speed info (crystaldisk) on their industrial SSD. I'd imagine it delivers the same performance as the military grade option.